Start customizing your firearms for their use in self-defense with help from U.S. Special Operations gunsmith Steve Sieberts. 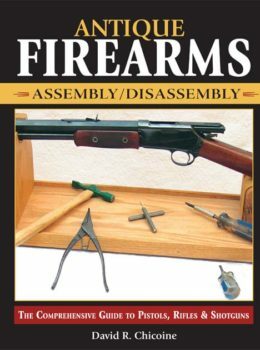 Category Gunsmithing SKU:: R2422-m Format:Digital Book (PDF), Paperback ISBN: 9781440247316. Take the confusion out of customizing firearms and create the gun of your dreams with Custom Gunsmithing for Self-Defense Firearms. This expertly written guide demystifies daunting firearm performance modifications, arming shooters of all stripes with the knowledge to tinker their guns to perfection. 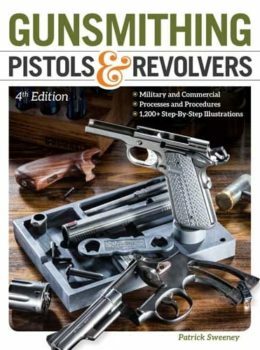 Whether it’s tuning a pistol for self-defense, building a rifle for precision long-range work, or modifying a revolver for whitetail season, you’ll discover the process from A-to-Z in this indispensable reference. Drawing on Steve Sieberts’ extensive hands-on experience customizing firearms for the U.S. Special Operations, Custom Gunsmithing for Self-Defense Firearms ventures beyond general gun repairs. Sieberts details the tools and processes for tailoring firearms to specific purposes or to run far superior to stock models. He breaks down each project into easy-to-grasp step-by-step processes, supported with ample and detailed photos that even novices will find accessible. Best of all, Sieberts’ enhancement tricks and firearms upgrades can be executed without expensive machine tools. Don’t settle for an off-the-shelf rifle, pistol or shotgun. Demand the best from your guns and get it with Custom Gunsmithing for Self-Defense Firearms. Steve Sieberts was the Chief Gunsmith for a classified DoD facility, performing custom gunsmithing, small arms R&D, T&E, and custom work for U.S. Special Operations. He was a competitive shooter in the U.S. Army Marksmanship Unit, and has written for Old West Guns, Shooter’s Bible, Guns and Weapons for Law Enforcement, SWAT, American Handgunner, Varmint Hunter Magazine, Concealed Carry Handguns and Gun World Buyer’s Guide. 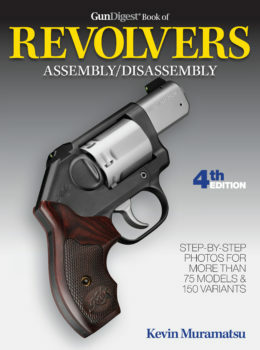 Sieberts is the author of Gun Digest Shooter’s Guide to Competitive Pistol Shooting.